Baseball Savings, a leading retailer of Baseball Equipment, receives the highest ranking available from TopConsumerReviews.com. Since 2006, Baseball Savings has been providing high-quality baseball equipment, team apparel, and fan paraphernalia online... In 2017, Baseball Savings is our top pick for online retailers of Baseball Equipment. TopConsumerReviews.com recently gave a best-in-class 5 star rating to Baseball Savings, a leader among online Baseball Equipment retailers. Baseball is still beloved as America’s pastime. Whether a person is a long-term baseball player, or shopping for their child’s first Little League gear, it’s important to have the right baseball equipment. However it can be hard to find the perfect glove, bat, or uniform once the season has already begun. Most sporting goods stores only carry a full line of products at the start of the baseball season, leaving customers high and dry if a need arises later in the year. There are a surprising number of online retailers who carry baseball equipment year-round, and at prices that are often the same as or better than what can be found in a traditional brick-and-mortar store. To find out more about Baseball Savings and other retailers of Baseball Equipment, including reviews and comparison rankings, please visit the Baseball Equipment category of TopConsumerReviews.com at http://www.topconsumerreviews.com/baseball-equipment/. Baseball Savings is located in Wichita, Kansas along with its online sports family members The Golf Warehouse and SoccerSavings. With thousands of products available to choose from, Baseball Savings has become the sport's #1 Online Superstore. Featured brands include Rawlings, Mizuno, Wilson/DeMARINI, Louisville Slugger, Easton, NIKE, Worth Sports and many more. The site also has a fantastic selection of Major League Baseball and NCAA apparel, for the sports fan. In addition to its online dominance as a one-stop shop for all players and gift-givers' needs Baseball Savings also provides custom-logo items for corporations, meeting planners, charities and baseball and softball-tournament organizers. 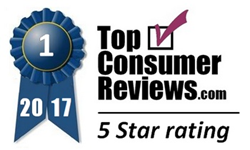 TopConsumerReviews.com, LLC is a leading provider of independent reviews and ratings of thousands of consumer products and services. From Baseball Equipment to Sporting Goods and Home Gyms, TopConsumerReviews.com delivers in-depth product evaluations in order to make purchasing decisions easier.